What is the Responsibility of “the Church”? Something I thought about when I was writing the very first draft of my book (which the final draft did not reflect) was the concept of “the Church”—its meaning, its responsibilities, and its reach, particularly as concerning the mental health of its members. “The Church has authority to teach correctly the principles and doctrines of the gospel and to administer its essential ordinances. Basically, the Church is the means to an end. It is not the end, nor is it “perfect” or unable to change and adapt. I think those are all important points to remember. Maybe we shouldn’t really be saying that we “know the Church is true” because the “Church” is really an institution, a tool that helps us live the Gospel of Christ. 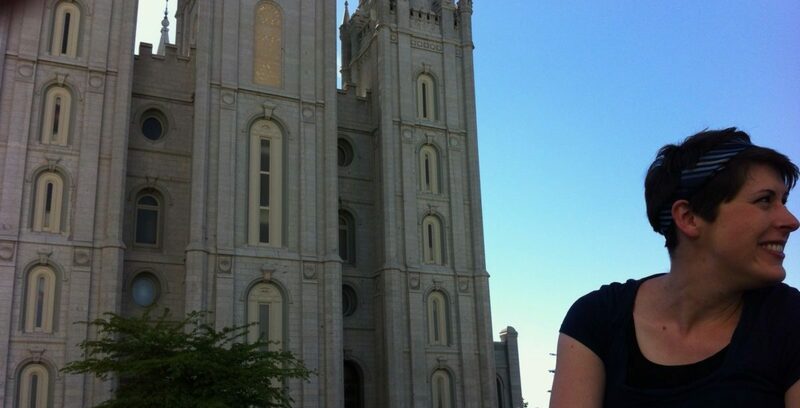 For many Mormons, membership in the Church is an identity. It is a culture, a way of life, and it defines much of what we do, don’t do, think, believe, etc. Does “the Church” have a responsibility to help us in all matters of our lives, or just spiritually? Can we separate our spiritual lives and well being from the other parts of our lives or are we too much of “integrated wholes” for that? Is it the Church’s responsibility or role to care for the mental health of its members? Does it have the resources, abilities, and knowledge to do so in appropriate and meaningful ways? The welfare program of the Church attempts to help its members and those within its reach with physical, financial, and employment needs as appropriate and necessary. It seems the Church decided that those needs were within its scope and ability. In the past, the Church has even dabbled in physical health care. The Church owned hospitals to the tune of a net worth of “$61 million” up to the 1970s. From personal experience, and having heard stories or comments from other members, LDS Family Services, however, is not always the greatest option for those with mental health issues, not only due to lack of expertise but also financially with insurance/coverage issues. There is also the whole piece of confidentiality—will your Bishop be privy to the counselor’s notes from your therapy sessions? Is that appropriate or necessary? The fact remains that Church members sometimes feel that “the Church” does have a responsibility to help them with mental health challenges. Often, the first place a person who struggles with mental illness turns is to their Bishop or a Church leader. There are multiple reasons for this. Perhaps they don’t understand the nature of their problem and think it’s a spiritual issue. Maybe they simply don’t know where else to go. They may not have resources to get professional care. They might think that the Bishop is honestly the best person to help them. Whatever the reason, the fact remains that the Bishop is usually not qualified to handle mental illness counseling, nor should he feel that he is able to do so (unless he is a qualified mental health professional, and even then, a Bishop’s interview might not be the appropriate place). Religious leaders attempting to diagnose or give care recommendations to those with mental illnesses are highly likely to not give the correct instructions or care. In many cases, it can make the situation worse. So what’s the solution? People struggling with mental illness need help and care. If they come seeking for it, what should be done? Many times, mental illness can restrict or prevent them from feeling able to participate in Church meetings or callings. There is often an overlap between spiritual and mental health. I’m not exactly sure of the solution. Bishops need to be willing to say they are not experts and should recommend professional care, even outside of the realm of LDS Family Services, who are also not able to handle many of these cases. Psychologists don’t need to be Mormon to help people. In fact, in some ways, a non-Mormon psychologist might be preferable, though some might need or feel more comfortable with someone who shares their faith. Next week I’ll look at the possibilities of utilizing Relief Society groups and meetings or Priesthood quorums for support. Missionary mental health care is also a huge issue, as is mental health care for the youth and children of the Church. Check back next week as I attempt to delve into these topics! What are your thoughts on mental health care within the Church?